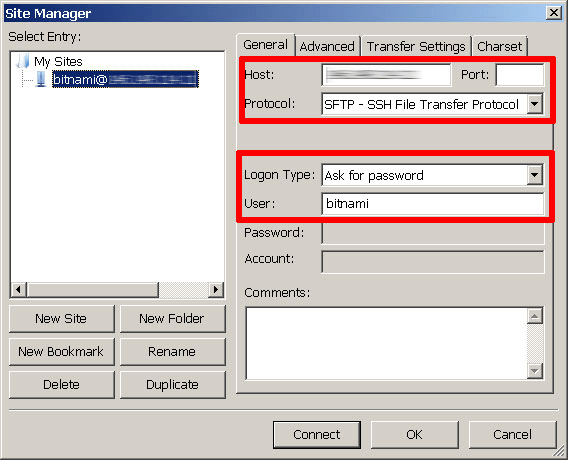 NOTE: Bitnami applications can be found in /opt/bitnami/apps. Browse to the Bitnami Launchpad for Google Cloud Platform dashboard and sign in if required using your Bitnami account. 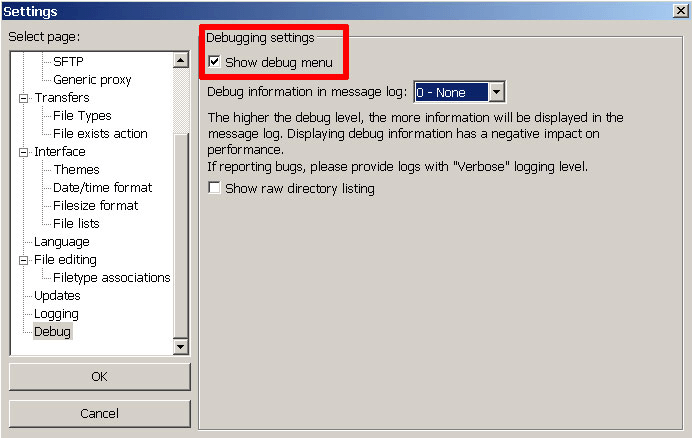 Select the “Virtual Machines” menu item. 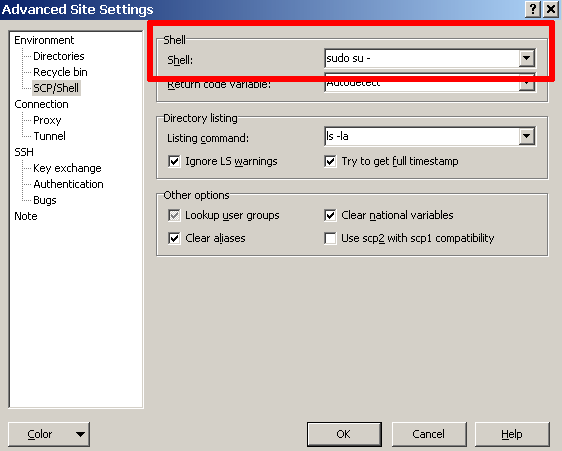 Select your cloud server from the resulting list. 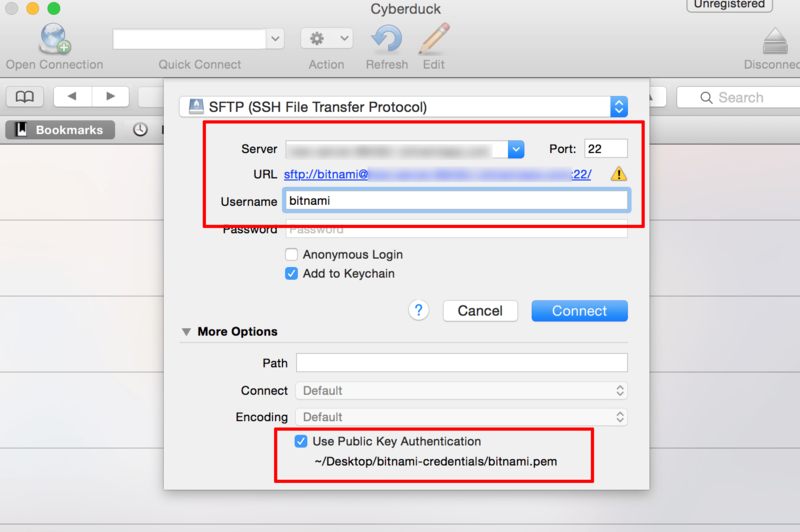 Download the SSH key for your server in PPK or PEM format. 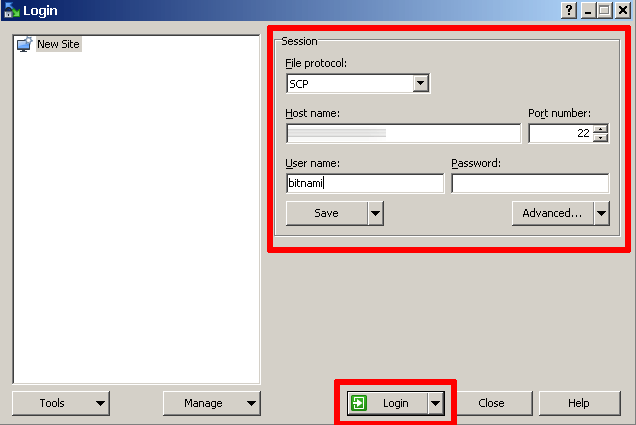 Note the server IP address on the same page. 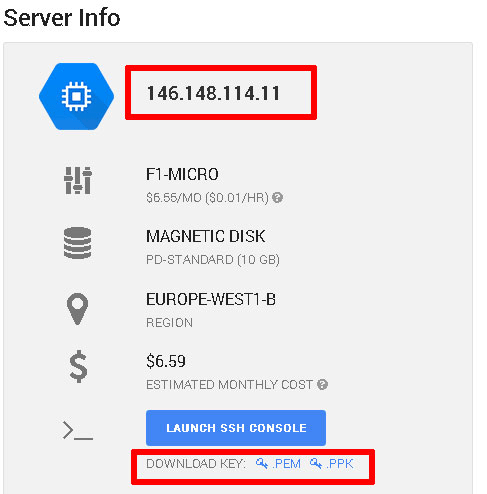 If you are using the GCP Marketplace, you will need to generate and add your SSH key manually using these instructions. NOTE: Replace USERNAME in the commands below with your Google Cloud platform username. Enter the passphrase twice. 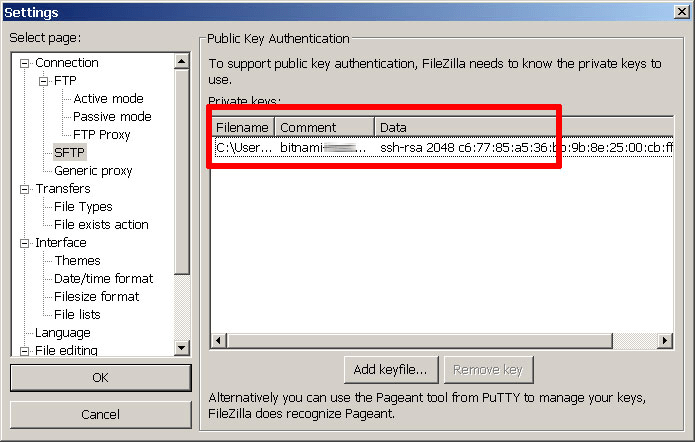 The SSH key pair will be generated and saved in /home/USERNAME/.ssh/my-ssh-key and /home/USERNAME/.ssh/my-ssh-key.pub. 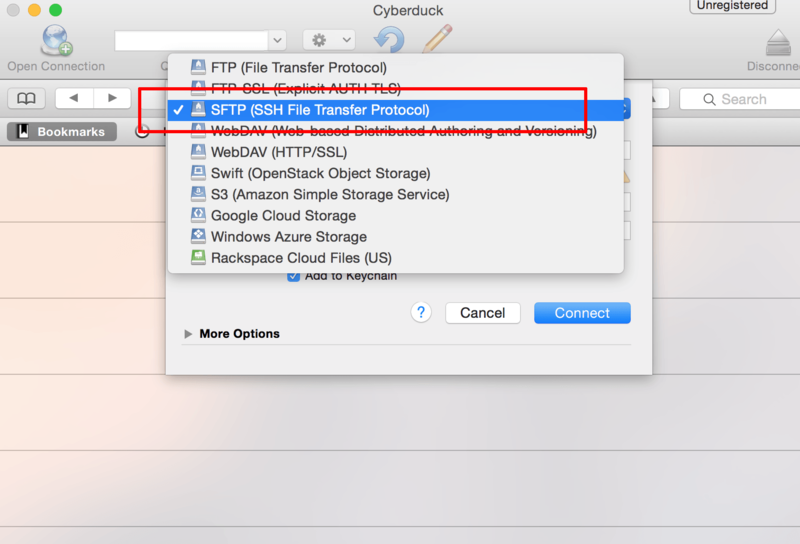 Watch the following video to learn how to upload files to your Google Cloud server with SFTP using FileZilla. The example below shows a server launched using the Bitnami Launchpad, but this video is applicable to those servers launched using the Google Cloud Marketplace.